Note: This article originally appeared on Huffington Post as part of a partnership with their Move Your Money campaign. 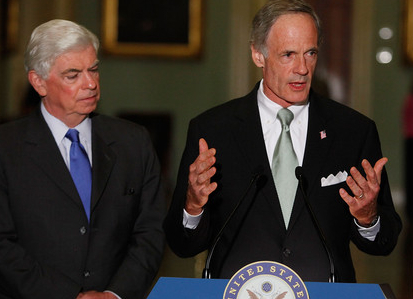 One of the more menacing amendments circling the financial reform bill is a proposal by Senator Tom Carper (D-DE) that would bar states from enforcing consumer protection laws against national banks and would make it easier for banks to claim immunity from state laws they don’t like. This dangerous measure has some legs. The big bank lobby has described it as their “number one” priority. It has support from conservative Democrats and Republicans. The Washington Post editorialized in favor of it today. Although the White House opposes Carper’s amendment, Senator Dodd seems lukewarm at best on the question of state authority and has refused to rule out including a version of Carper in his “manager’s amendment,” a package of negotiated changes to the bill that Senators who want financial reform to pass have little choice but to accept. 1. It would hamstring states and prevent them from catching and stopping dangerous consumer lending practices before they metastasize into another crisis. State regulators routinely spot problems well before they become national epidemics. So it was with abuses in the mortgage industry. As early as 1998, states, like Illinois, New York, and Georgia, were taking predatory lenders to court, connecting the dots to Wall Street, and passing laws that limited risky, high-cost mortgage terms. Had those laws been allowed to take effect, they would have gone a long way toward preventing toxic mortgages and the teetering piles of leveraged securities that banks built on top of those doomed loans. But the states were blocked by the nation’s chief banking regulator, the Office of the Comptroller of the Currency (OCC), which, acting at the behest of national banks, declared many of these state laws preempted by federal law. In 2004, the OCC issued a sweeping preemption order that basically nullified all state laws governing consumer lending. Carper’s amendment would enshrine the OCC as the main arbiter of state banking laws, virtually ensuring that national banks continue to get a pass. 2. The Dodd bill is already a weak compromise that only partially restores state authority. President Obama’s financial reform proposal would have fully restored the authority of states to regulate national banks. What we’ve ended up with instead, in both the House bill and in Dodd’s bill, is very mild language that takes us back to pre-2004. The OCC’s sweeping preemption order will be void, but the agency will still be able to preempt state laws on a case-by-case basis, subject to court review, as it did throughout the 1990s and early 2000s. This is already a major compromise that gives the OCC too much power. Carper’s amendment would make it even easier for the OCC to grant banks immunity from state consumer protection laws by requiring courts to give the agency’s opinion more weight than that of the states. 3. State attorneys general see their constituents as the people who elected them. 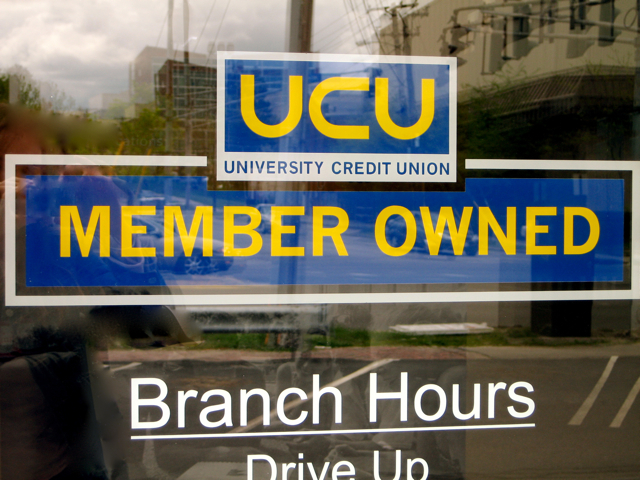 Federal regulators see their constituents as the banks they regulate. State AGs, most of whom are elected and many of whom want to run for governor, are motivated to work on behalf of voters. That’s not the case with the senior people at federal regulatory agencies, like the OCC. They are well removed from the problems facing ordinary families and are intimately involved in the concerns and aspirations of big financial institutions. Their career goals typically involve getting a high-paying job with one of these banks once they leave government. The Consumer Financial Protection Bureau is theoretically designed to create an agency that works for consumers. But it’s still a lot easier to lobby and influence Washington than it is to keep 50 states legislatures and 50 state attorneys general in line. We’d be fools to take AGs off the beat and that’s precisely what the Carper amendment would do. 4. The notion that a “patchwork” of state regulations would hinder big banks and impose additional costs on them is offensive. This is the argument the American Bankers Association is making. After a year-and-a-half of massive bailouts and staggering job losses, it’s revolting to hear these guys complaining about the potential cost of state regulation. We should not forgot for a minute that the banking industry exists to serve the needs of people and businesses — not the other way around. Contrary to what the ABA seems to think, it’s not our job to write laws with a view to maximizing bank profits. Other multistate businesses manage to deal with variations in state law. Surely the legions of attorneys employed by banks to make sure their complex derivatives are operating just this side of legal can also manage to comply with state consumer protection laws. 5. Carper’s case for passing his amendment is downright absurd. Carper is trying hard to make his amendment not look like a gift to big banks. He’s way out on a limb pushing the bizarre claim that the proposed Consumer Financial Protection Bureau will somehow do a better job if states are powerless. “All my amendment says is that we should make that bureau do its job. This is the cop on the beat that we need,” he said in a statement.